Do drinkable sunscreen and sunscreen pills actually work? Probably not. Drinkable sunscreen, or water that has been treated with electromagnetic waves, supposedly allows the body to better deal with external UV waves, thereby preventing damage to the skin. Sunscreen pills are filled with vitamins and antioxidants, and similarly work from the inside out to help the body fight damaging UV waves. Both products may sound like an easy alternative to regular SPF and suncare, but there is no research citing the usefulness of drinkable sunscreen, and very little supporting sunscreen pills. Though neither product seems to be directly harmful, nothing can compare to broad-spectrum SPF and a hat when protecting skin from the sun. Try Dr. Bussell’s SPF 30 Sunblock for full coverage. R esearch has shown an increase in a variety of skin cancers in people who have exposed themselves to tanning beds. It has long been known that there has been an increased incidence of squamous cell carcinomas (SCCs) and deadly melanomas in people who have used tanning salons. 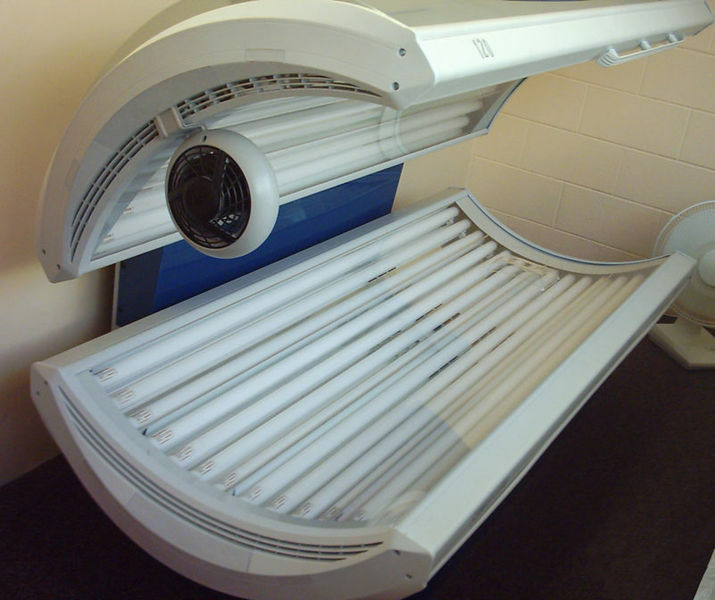 Research has now established an increase of basal cell carcinomas (BCCs) at a young age linked to the increase in use of tanning salons by teenagers and young adults. In my practice, I encourage my patients to avoid the ultraviolet tanning salons. The spray tanning salons are not harmful. I would much prefer a very short exposure to natural sunlight either in the morning or late afternoon, avoiding intense midday sun, to the use of tanning salons for those individuals who insist on being tan. Do you ever look in the mirror and examine the skin on your back? Don’t neglect your back! Because many people don’t look at their backs, they just assume that nothing is happening there and that their back skin is fine. However, when I do a total body exam, a careful look at my patient’s back is very important. Atypical moles, which may be precursors of malignant melanomas, as well as growths that can become basal and squamous cell carcinomas need special attention. In addition, significant amounts of sun damage is often seen on the back. In many cases, treating this damaged skin can prevent future malignancies. Furthermore, the back is also frequently a site for breakouts, usually very large, and with a tendency towards scarring. If you have not had a body scan which included a thorough look at your back, I highly recommend it. Skin on the back can be treated very similarly as I treat skin on the face, hands and arms. So don’t neglect your back in taking care of your total skin! What can you do for a sunburn? If you forgot to apply your sunscreen and now you have a red face and/or body after being out in the sun, the first thing to do is cool the area with some ice packs as much as possible. Next, as soon as possible, put on some non-prescription 1% hydrocortisone cream. Reapply a thin layer of the cream as needed for the burning sensation or continued redness. If the skin blisters, you can clean the blister gently with some rubbing alcohol; then, take a pin or needle, flame it to sterilize and gently poke the base of the blister in one area so that the fluid within can be gently removed. If the sunburn becomes painful, or the skin is very warm to touch, then two aspirin or two non-prescription ibuprofen tablets every four to six hours for two days may alleviate these symptoms. For any areas where the skin becomes broken or raw following blister formation, you can apply some non-prescription bacitracin or polysporin ointment on the surface of the involved area. Do not apply neosporin or neomycin ointment as the antibiotic neomycin causes frequent severe allergic reactions on the skin. If in spite of following these instructions the skin becomes raw or develops honey-colored crusts, it could mean the beginning of an infection known as impetigo or cellulitis. 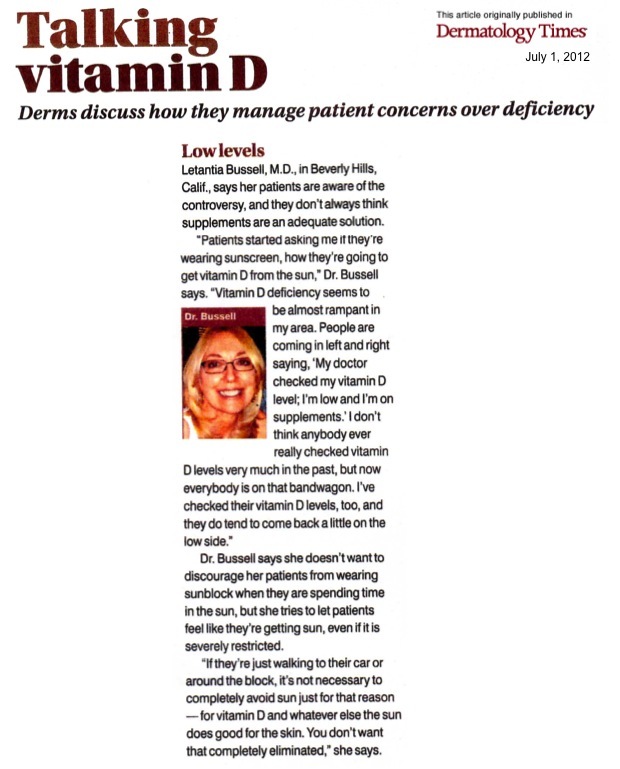 If this should occur, then it is best to be evaluated in a dermatologist’s office. When your sunburn dissolves, the skin may peel. This can be very itchy. If this occurs, use your favorite moisturizer throughout the day, especially on wet skin after showering. What can be done about aging hands? Aging hands are treated much in the same way as an aging face. Frequently the problem with aging hands is sun damage. Sun damage results in brown spots, red spots and thickened scaly skin. The skin of the hands also lose elasticity with age. The sun damage can be treated with acid peels, microdermabrasion, as well as liquid nitrogen. The acid superficially destroys the pigmentation. The microdermabrasion gently causes exfoliation. The liquid nitrogen freezes the skin to destroy the unwanted sun-induced spots. It is very important in a total body program to minimize the signs of aging to include treatment of the hands. Carefully removing sun and age damaged skin from the hands can sometimes make hands look 10 or 20 years younger. In addition to therapy that can be accomplished in the office, our Sal-Hydro Fade Formula can peel and bleach many surface skin lesions at home when applied two to three times per day. Even after office treatments, my patients are given Sal-Hydro for use at home to further enhance the effects of treatment. In African-American skin, pigmented lesions (spots) can be even more noticeable and Sal-Hydro can be used up to four or even six times per day until the desired lightening is achieved for maximal effectiveness. Likewise, Asian skin frequently pigments darker, and the in-office procedures are the same. The Sal-Hydro used in conjunction with the procedures is also extremely effective. Moisturizers, especially our Multivitamin Cream, can be applied to minimize the noticeable effects of the peeling process. In certain cases where thinning skin on the surface of the hands is very noticeable, it is possible to inject a filler to increase the density of those areas. This is a procedure that is done in the office and only on select patients. What can you do about keratoses (actinic and seborrheic) on your arms and legs? Actinic keratoses are sun damage spots that can appear anyplace on the body but especially on the face, arms and legs. They can look like red or brown scaly or elevated lesions on the skin. Seborrheic keratoses (“age spots”), seen in mature skin, tend to be thicker and slightly wart-like and vary in color from skin tone to dark brown. They also tend to appear on skin that has been exposed to the sun. The best treatment for actinic and seborrheic keratoses is destruction of the lesions with either liquid nitrogen or acid therapy in a dermatologist’s office. If the lesions are not very elevated, our Sal-Hydro peeling and bleaching medicine can be very helpful when applied twice a day at home to peel and help fade the lesions over time. Shaving can be done as usual. Be sure to use a clean disposable razor each time you shave to avoid infection. What is an SPF and what is the right SPF for me? With the summer upon us, we are all tempted to go to the beach, enjoy the outdoors and the sun. There are a few things you should remember. When choosing your sunscreen, consider the sun protection factor or SPF. This number is useful in determining how long an individual can stay in the sun without burning. The SPF multiplied by the number of minutes it would take for that individual to burn without sunscreen gives the total amount of minutes he or she can stay in the sun with the sunscreen. For a person who burns after 10 minutes without sunscreen, an SPF of 30 would allow him or her to stay in the sun for 300 minutes. Since it is unlikely that someone will get more than five hours of sun in one day, I believe an SPF of 30 to be sufficient. Furthermore, the Food and Drug Administration (FDA) has long ago determined that 15 was a complete block. My feeling is that in southern California, it is prudent to go a little bit higher. I recommend a 30 for people living in sunny climates. I do not recommend anything greater than 30 due to the fact that it must be remembered that sunscreens contain chemicals, and chemicals applied to the skin can be absorbed into the body. There is no need to go beyond 30. Sunscreen has been used significantly for over 40 years, and my feeling is that staying with the original ingredients that have been proven effective and safe is much better than changing to a sunblock with a new chemical that has been on the market for only a short period of time. My concerns are that sometime in the future these newer chemicals might show some toxicity which we know that the older chemicals do not have. Therefore, I think an SPF 30 is more than adequate for adults and babies. I use the terms sunblock and sunscreen interchangeably. Sunblock/sunscreen should be applied a half hour before going into the sun so the ingredients can be absorbed into the skin and should also be reapplied after swimming, heavy perspiration or showering in order to be effective. Try my SPF 30 Sunblock.